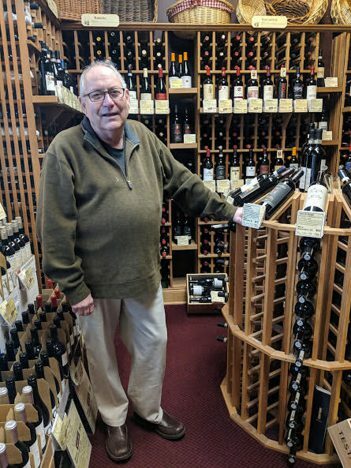 Doug Pendleton didn’t initially choose to open a wine shop in Zionsville. “It actually kind of chose me,” said Pendleton, who owns Grapevine Cottage. The businesses is celebrating 20 years of operation this summer. During his search for a location, he discovered a bankrupt gourmet food business on Main Street. He purchased the shop and its liquor license and opened Grapevine Cottage in August 1999. Even with decades of retail experience, Pendleton didn’t expect the business would last 20 years, or that he would add a second location in Fishers in 2011. Most of his staff is retired, with the exception of Mat McGraw, his general manager and business partner whom he expects will take over the business when he retires. Within a few months of opening in 1999, Pendleton started a digital newsletter. With roughly 7,000 recipients, Pendleton will publish the 1,000th issue in May. One of his biggest challenges is finding young customers amidst the popularity of bourbon and craft beers, but he expects the trend will return to wine. Pendleton is known as “the wine guy” to his customers, a moniker he first heard in California. He enjoys helping customers and having the chance to sample wines, which often requires filtering through the good and bad. “We kiss a lot of frogs,” he said.